Ben comes from a theatrical family and is the son of the actor and pantomime writer, John Crocker. He saw his first pantomime at the age of three and has been hooked ever since – although he can’t remember all of the show as he spent the frightening bits under his seat. Many pantomimes later, Ben studied Drama at Exeter University and has worked in the theatre since 1989. 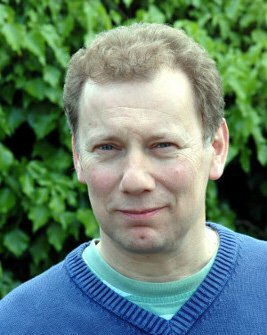 During that time, he has directed over seventy professional productions and was Artistic Director of the Northcott Theatre, Exeter, between 1998 and 2008. Towards the end of his time at the Northcott, Ben started writing the pantomime scripts which contain all his knowledge, expertise and love for the artform. Since then, he has gone on to develop a collection of scripts which enjoy well over two hundred amateur and professional productions each year. The scripts are very funny, fast moving, true to the story and quite possibly the best pantomime scripts in the world – oh, yes they are!